Fairfield, CA - The 50+ flavors of America's favorite gourmet jelly bean are produced at this factory located halfway between San Francisco and Sacramento. The plant offers free factory tours daily. During the quarter mile, self-guided tour above the factory, visitors see how jelly beans are made. Free samples are available along with interactive exhibits and games. 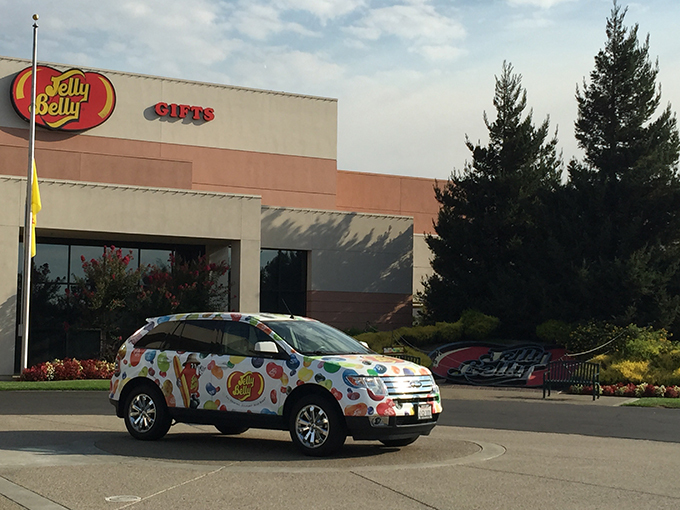 Following the tour, visitors can stop by the Jelly Belly Jelly Bean Art Gallery before shopping at the Jelly Belly candy store and dining at the Jelly Belly Cafe. For an in depth experience, schedule an appointment for the Jelly Belly University (JBU) behind-the-scenes, guided floor tour before visiting the factory. The tour is limited to 6 participants and costs $47/person, plus a ticketing processing fee.